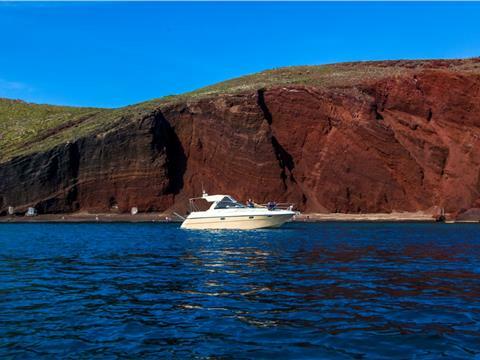 A tailor-made, private tour around the breathtaking island of Santorini is the perfect way to celebrate special events and share unique moments with your beloved ones. The romantic atmosphere of the island along with the extraordinary landscapes makes the cruise ideal for a wedding proposal, an anniversary or a honeymoon trip. 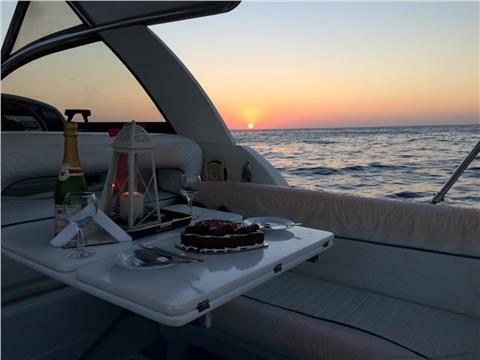 You can also have your birthday party or even your wedding reception on board and create unforgettable memories surrounded by your family and closest friends. Our tour starts from the port of Vlychada at 10:30am and we return at 15:00 or 15:30 and we return after sunset (port of departure/return can be changed upon request). 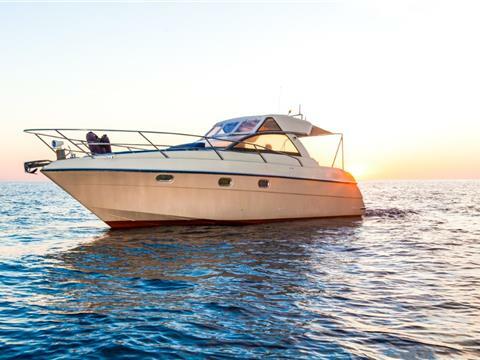 On our private tour you have the ability to choose where you wish to cruise. We will make our proposals to you, based on your preferences. 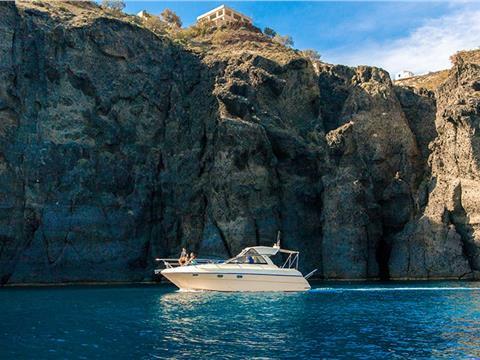 You can choose among the popular volcanic beaches, Red Beach and White Beach, the world-famous volcano with the hot springs, the picturesque settlement of Oia, the neighboring island of Aspronisi and more other places. Upon return, we sail along the nearby island of Therasia. Then you will relish the captivating sunset at the best spot of the island. You will also take delight in a delicious barbeque meal on board accompanied by unlimited soft drinks. The tour finishes in Vlychada port and we take you back to your hotel. 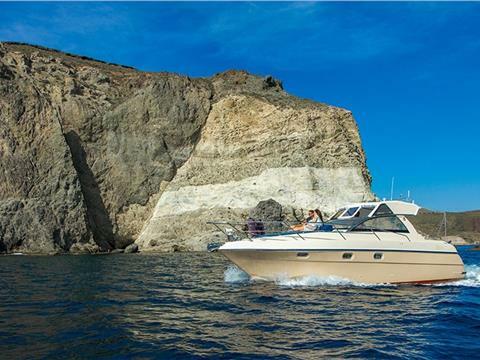 8-9 Hours Full-Day Private Yacht Cruise Cruise around Santorini island and Anafi island. Departure at 11:30AM and finish after the sunset.